Boneless & skinless chicken breasts are neatly hand trimmed of excess fat and skin then marinated with water and salt to make the chicken moist and tender when cooked. The trimmed and marinated chicken breasts are then cut into cubes and placed onto a wooden skewer. 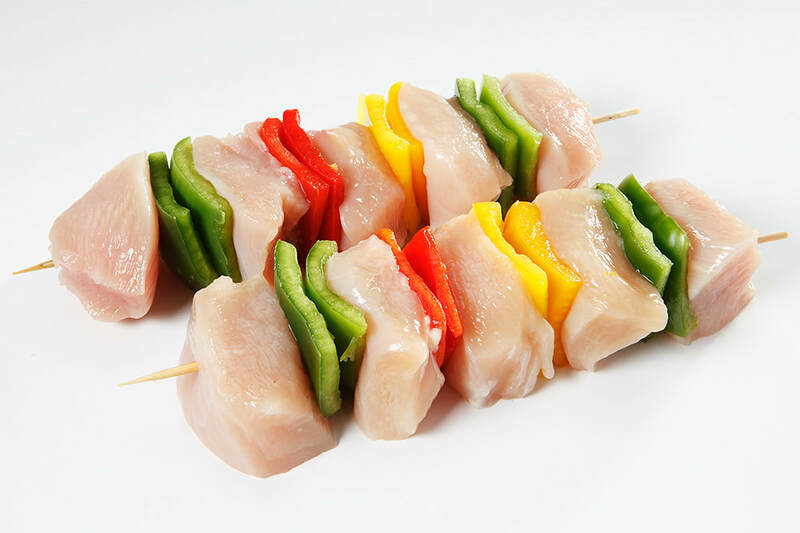 The chunks of chicken breast alternate with fresh sliced red, yellow, and green bell peppers. Available with 4 or 5 pieces of chicken.